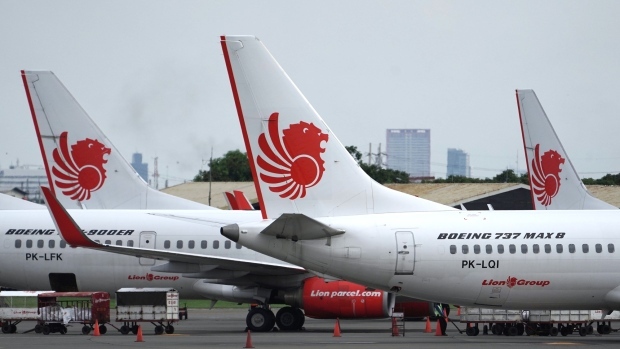 (Bloomberg) -- Lion Air has started preparations for a domestic initial public offering, people with knowledge of the matter said, as Indonesia’s biggest private carrier seeks to move past an October crash that triggered the crisis surrounding Boeing Co.’s 737 Max plane. The company is working with advisers on the planned share sale, which could take place as soon as this year, the people said. Lion Air has been discussing a fundraising target of around $1 billion, though it hasn’t set precise terms for the deal, the people said, asking not to be identified because the information is private. Lion Air is planning to start preliminary meetings with investors as soon as this week to sound out early interest ahead of the potential deal, the people said. The company will decide whether to proceed after seeing their feedback and could target to list some time after next month’s presidential election, according to the people. More evidence has been emerging about potential problems with the 737 Max plane model involved in last year’s fatal Lion Air flight, which killed all 189 people on board. Indonesian investigators are seeking to conclude their final report on the crash by August. A $1 billion share sale would be Indonesia’s third-largest IPO on record, data compiled by Bloomberg show. Lion Air has mooted the possibility of listing as far back as 2005, though the plans have been delayed multiple times due to a flagging Indonesian economy and other issues. A representative for Lion Air declined to comment. --With assistance from Harry Suhartono.